At Dell Hendricks Reining Horses, we’re thankful to have a top notch group of assistant trainers, grooms, vets, farriers. Please take a few moments to learn more about them below. 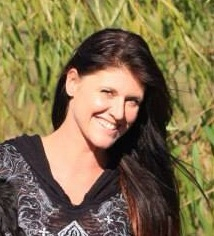 Katia is the breeding manager at Hendricks Reining Horses, Inc. She was born and raised in a small town in north Italy. She has been involved with horses her entire life, and decided to make it her career in 2001. Katia went to school in Munich, Germany and specialized in Horse Breeding, Nutrition, and Care. She worked in Austria and Italy, before moving to Texas in 2007. Katia worked at Sterling Ranch and Cinder Lakes Ranch before working for Dell Hendricks. Katia is current on all breeding information, as she has continued her eduction with the CSU Short Courses in Breeding. We think that Katia is the best breeding manager in the whole wide world and we love having her on our Team! 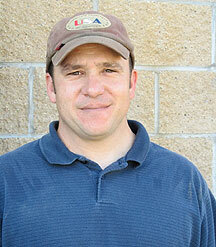 Colin is an assistant trainer at Hendricks Reining Horses. He was born and raised in Newfoundland, Canada. At 7 years old, he became involved with horses and has been around them since then. He has worked for reining horse trainers, Francois Gauthier and Brian Bell in North Carolina, and for Aaron Ranch in Texas. Colin has worked at Hendricks Reining Horses for 4 years. He has made the Finals at the NRHA Futurity, NRHA Derby, and NRBC. He is a NRHA and NRCHA Money Earner. We are happy to have Colin here and a part of our Team! 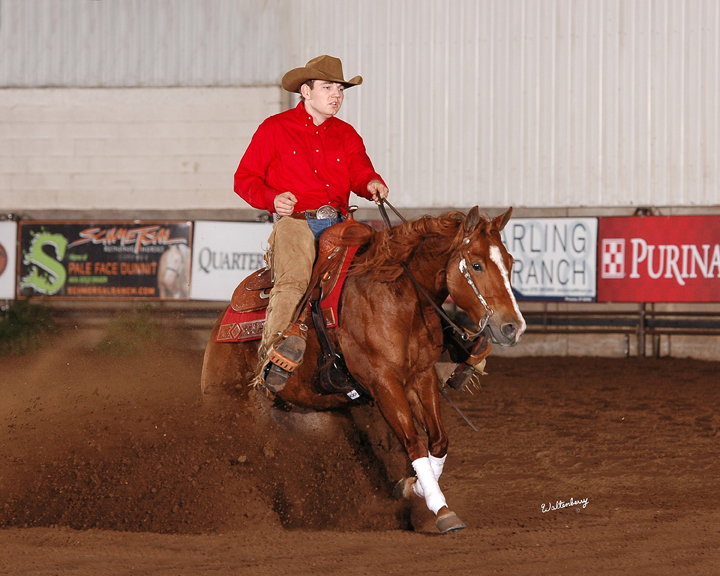 Parker is an assistant trainer at Hendricks Reining Horses. He was born and raised in Lamar, Colorado. He has ridden horses his whole life and enjoys showing reining horses and roping horses. Parker graduated from Lamar High School with honors and will graduate from the University of North Texas this year with a degree in Business Management. 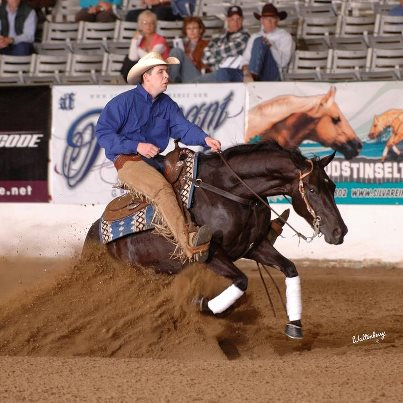 He has shown reining horses professionally since 2014, and most recently won the NRHA Rookie Professional Championship at the 2014 NRHA Futurity and the Rookie Professional Championship at the 2014 Tulsa Reining Classic! Parker is from a great family and we love having him working on the ranch and being a member of our Team! Megan is an assistant trainer at Hendricks Reining Horses. She grew up in Connecticut, where she has been involved with horses her entire life. 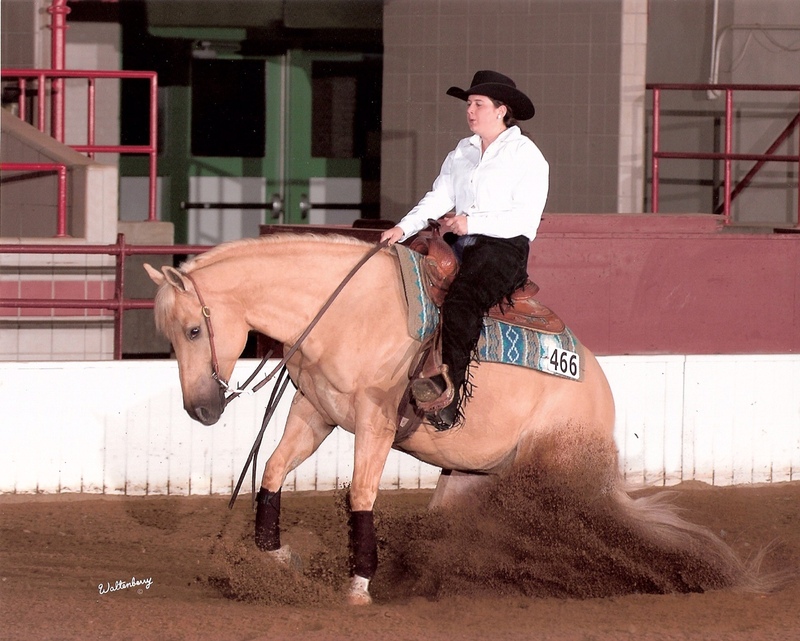 She started showing all-around horses at a young age, and began riding reining horses in high school. Megan graduated from the State University of New York at Morrisville in 2013 with a Bachelor‘s Degree in Equine Science, where she competed competitively on the reining collegiate team. She started working for Hendricks Reining Horses Inc in the fall of 2013, and Dell and Hendricks Reining Horses couldn’t be more excited to have Megan as part of our Team! Our farrier, Trent Wargo, is one of the best reining horse farriers around. He does a great job of keeping a foot healthy and makes our reining horse’s jobs easier by mechanical adjustments. We can rely on Trent to be there for us when our horses need him, at home and at the shows. We are so happy to have Trent on our Team! Located in the heart of reining country in Tioga, Texas, the facility at Dell Hendricks Reining Horses features all that’s needed to train and breed top level performance horses. Amenities include a large indoor arena, a show barn, mare motels, round pens, offices, and housing for on site staff.